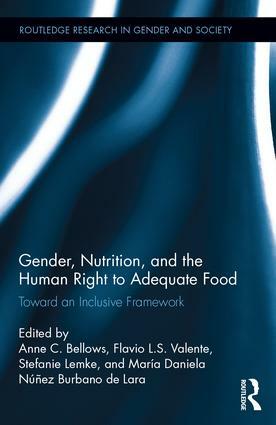 The book ‘Gender, Nutrition and the Right to Adequate Food; Toward an inclusive framework’, in which Lida Lhotska from IBFAN-GIFA contributed, was published in January 2016. It introduces the human right to adequate food and nutrition as evolving concept and identifies two structural “disconnects” fueling food insecurity for a billion people, and disproportionally affecting women, children, and rural food producers: the separation of women’s rights from their right to adequate food and nutrition, and the fragmented attention to food as commodity and the medicalization of nutritional health. The chapter 4 focuses on maternal, infant, and young child feeding, the intertwined subjectivities of mother and child, and the lack of corporate accountability. It highlights the various challenges encountered by women and their children during pregnancy and breastfeeding, in particular the lack of protection against misleading marketing practices of baby food companies, which interferes with the autonomy and self-determination of women and their communities and compromise progress towards sustainable diets based on democratically governed local food systems.